Now that we’re done studying for finals, writing papers, and spending hours in O’Neill (or on the McMullen’s terrace) staring at our computer screens and staying up until the wee hours of the morning, we can all finally take a moment to sit back, relax, soak up some much needed sun (also possible on the terrace) and let our minds wander to non-academic places, like rewatching Childish Gambino’s “This is America” video for the tenth time, finally figuring out whether we heard “Yanny” or “Laurel,” or even critiquing all the outfits from the Met Gala. 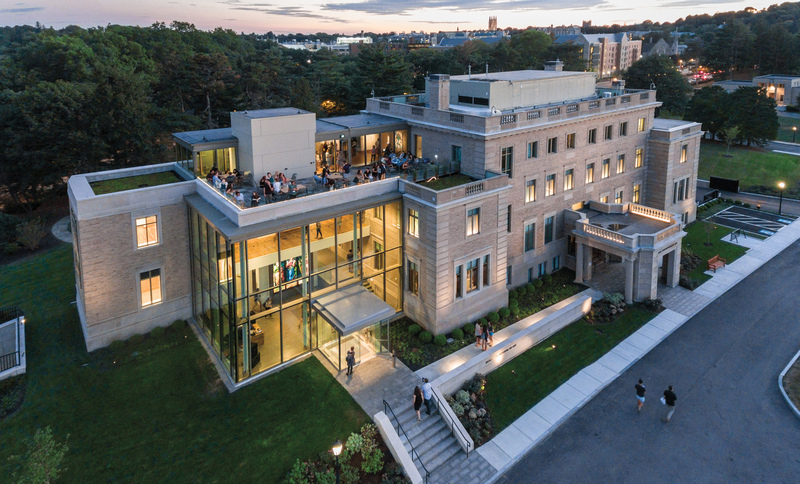 As I’ve been reflecting on this year’s pop culture trends and accomplishments, I’ve been thinking about what we have accomplished here at the McMullen. Beyond my experiences at the museum, it’s been a successful year for all the student ambassadors. Many of us have collaborated with the McMullen: the Fashion Club held an outstanding fashion show that even Miranda Priestley would applaud, the Electronic State of Mind’s DJ setlist at our Art After Dark events were phenomenal, SLAM shared some mind-blowing spoken word, ASO made a ton of amazing food from around Africa, and we even held our first ever undergraduate student conference on Chinese Art. Our seniors have graduated and will soon be off doing great things! But before I get teary-eyed, I should backtrack and get back to this year’s highlights at the McMullen. 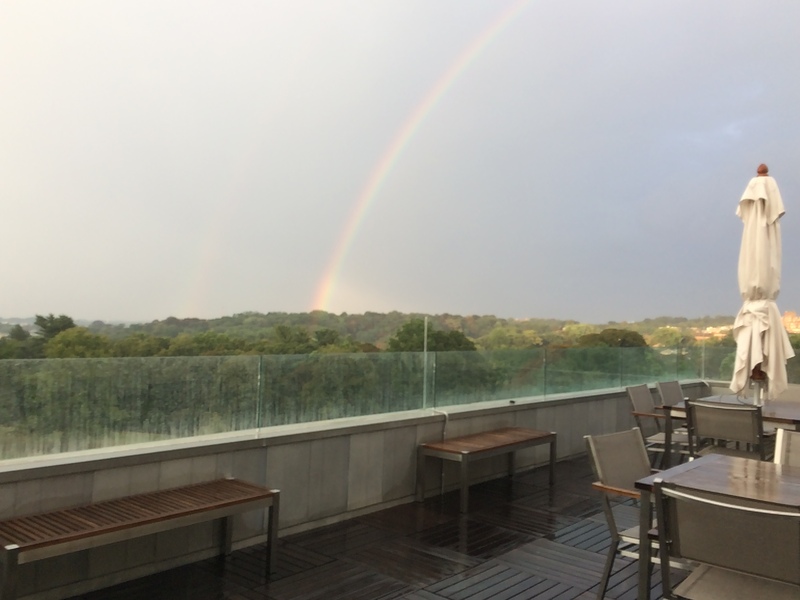 This year, I believe the Terrace truly established itself after our first year of gaining footing. We really thought outside the box with our “Neighborly Love” section, and some of our articles, like Sydney’s review of “A Little Fantasy” (which you’ll have to read to discover what the fantasy is) and Grace’s experience on biking through Walden Pond offered insight on breaking the notorious “BC Bubble.” Our “Into the Collection” section detailed student research on our private collection, and we received several student essays on art history and beyond. (Gentle reminder to our Terrace readers that you can submit work here without looming deadlines!) Our first ever podcasts were debuted online as well, providing Q+A’s with professors from all departments. I thought it was fascinating to hear an environmental science perspective on Belgian landscape paintings, literature professors chatting about Chinese art, and even Studio Art professors discussing our exhibition. And our “In Case You Missed It” section recapped all of our student events from a student ambassador’s eye. And on the topic of events, our Art After Dark events really hit a stride this year, even rivaling the MFA’s Late Nights. The Fall Student Opening for our exhibit Nature’s Mirror: Reality and Symbol in Belgian Landscape unveiled nineteenth century Belgian landscape paintings as the museum was transformed into a platform for music, DIY crafts, and collaborative art. 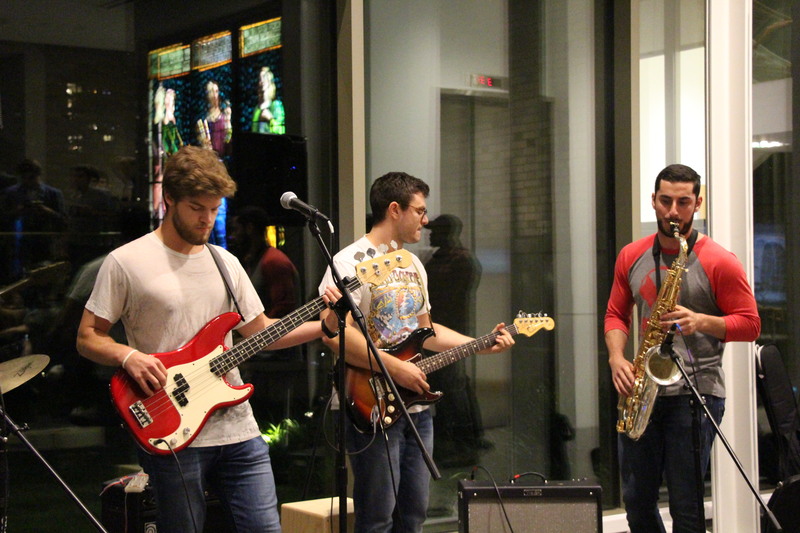 As students strolled through the galleries to see paintings of bridges from Bruges, early modern prints, and village scenes from Belgium, original, spunky music from Boston College’s Music Guild and Jammin’ Toast drifted into the galleries. I was up in the second floor gallery playing Whist, eventually mastering the game–or so I thought until two Jesuits beat me. The twinkling string lights and the crowd pouring out of the atrium signaled that the year was off to a great start. Our second Art After Dark event occurred just in time for Halloween and the beginnings of fall. As an autumn lover, I was in full anticipation for the DIY candle holders, painted pumpkins, and apple donuts. 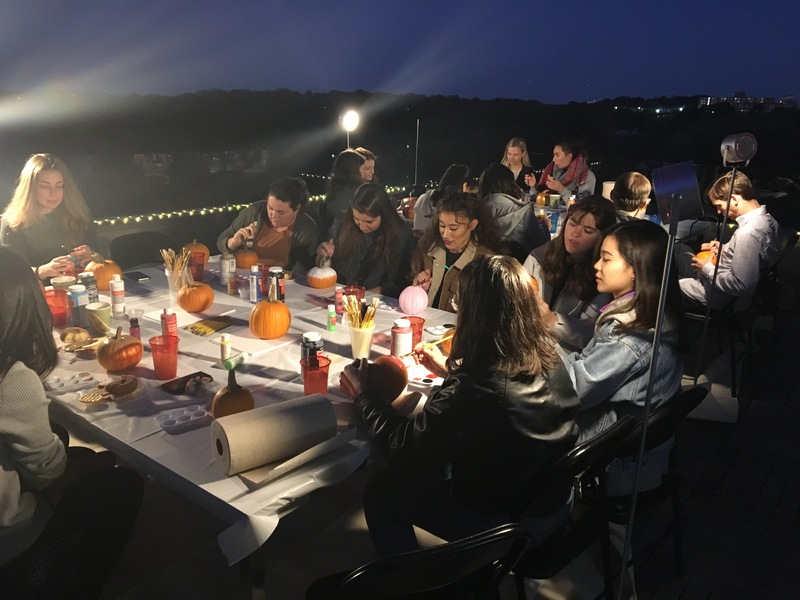 Students sipped on warm cider and maneuvered their way throughout the museum as the Committee for Creative Enactments group improved a series of skits to fit the fall theme. Some even played Graveyard outside, relishing in the spooky atmosphere of the night. I, however, was finally able to watch Jordan Peele’s masterpiece Get Out on the terrace as it grew darker and darker outside, which was certainly terrifying. But I also got to channel my fear into art and painting pumpkins, all the meanwhile dressed up like a lion in the spirit of Halloween. We hosted our first Visual Pop Culture Night out on the terrace, which later had to be moved to the atrium because of the rain. 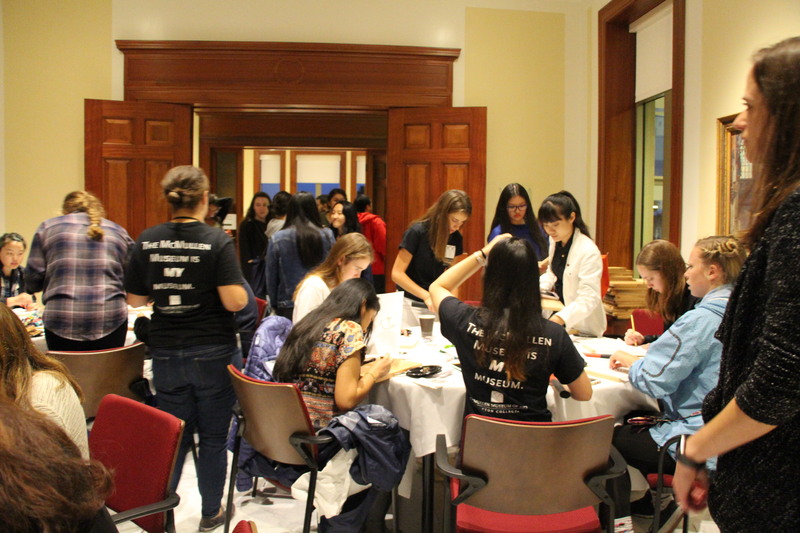 Despite the change of location and humidity, different groups of students battled it out for the coveted prize of various museum catalogues and McMullen gear. The competition was fierce as everyone answered questions ranging from Jersey Shore slogans to Beyonce’s latest album. I personally didn’t know the answers to any pop culture questions, but my team pulled through and even ended up winning the trivia night all thanks to the final question about the Harry Potter series. While Museum Hack offered an open lecture to the public, the student ambassadors were lucky enough to get insider tips and tricks following the lecture from a Museum Hack representative on how to better engage museum goers. 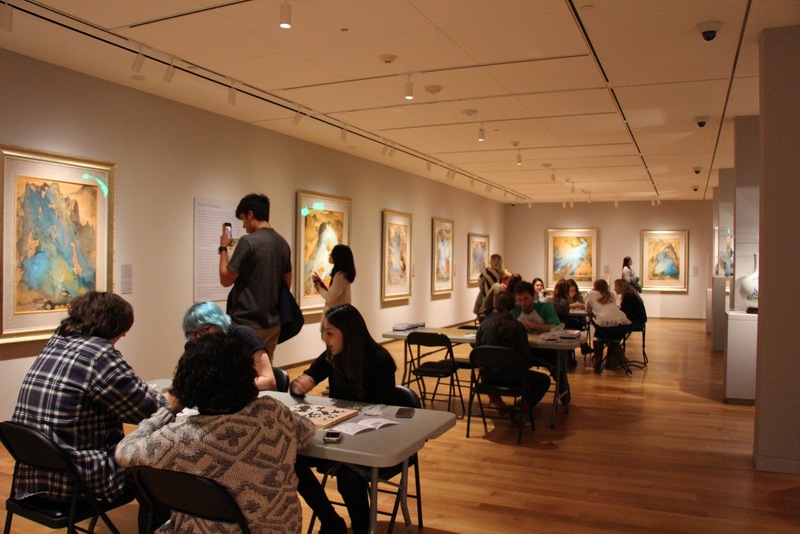 Museum Hack is known for their unconventional museum tours, so getting an insider’s view on how to get millennials off of our phones and enraptured by art was useful when preparing our own tours at the McMullen. Although some tours didn’t go as planned–like mine that focused on a dead Belgian guy’s fascination with limp bodies–we learned a lot on how to compel audiences and make any painting or print bounce to life. 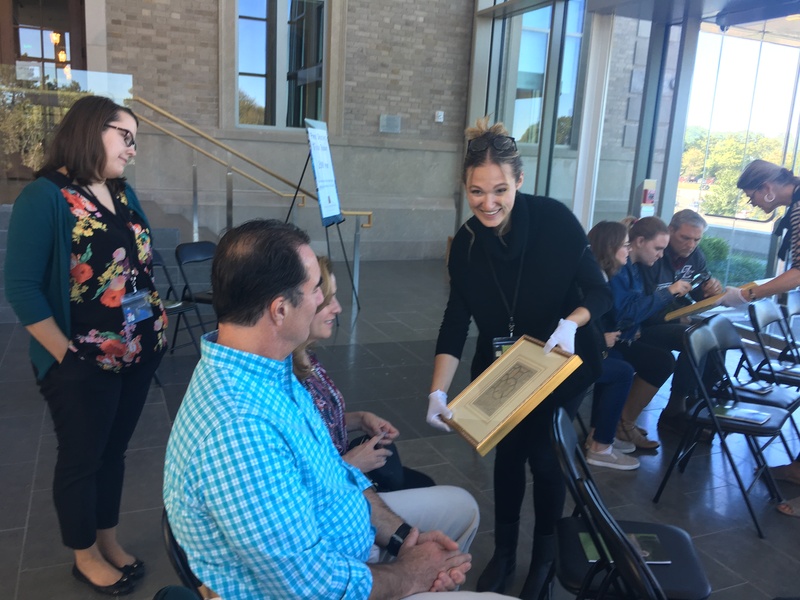 Throughout the year, we held several Into the Collection events where student ambassadors in the education committee researched pieces from our private collection to exhibit to the public. This was a new series that aims to get the public more involved with the private collection, which–unbiasedly–is a pretty cool chance to see some rarely viewed pieces. We had lively discussions and critiques on some famous works of art and were able to examine everything up close. I was been able to study twentieth-century photographs, nineteenth-century prints, and decorative arts, which were all unique glimpses into American and global history. Another highlight of the year was the Art After Dark Student Opening for Cao Jun: Hymns to Nature. I practiced my origami and paper lantern making skills in the conference center, truly mastering my DIY abilities. I later attempted to beat fellow student ambassadors in a game of Mahjong, a game I thought I had conquered until I actually began to play. Despite my loss, the Art After Dark was a huge success as everyone admired Cao Jun’s paintings and vases. We’ve learned a lot from our first year here and carried those ideas and lessons into our second round of the student ambassador program. 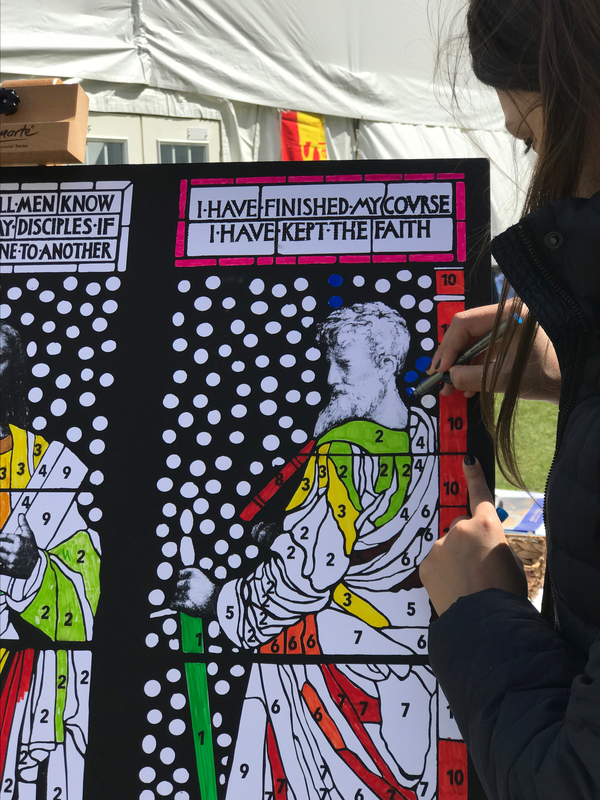 Personally, I’ve learned a great deal this year–like how to master Mahjong and Whist, how to make a slew of crafts like rubber stamps, tiny red Chinese lanterns, Easter baskets, and origami patterns. Thanks to our Museum Hack visit, I’ve learned how to engage a millennial audience in a museum tour, and in the process learned more about our permanent collection than I ever thought possible. I even did research for our Into the Collection series and was able to stand only centimeters away from a Picasso, which I never thought I’d be able to say! Evidently this has been a great year for all of us, student ambassadors and museum goers alike. The Terrace published nearly twice as many articles as we did last year thanks to our diligent editors. All of our events and committee work wouldn’t have been possible without our student ambassadors and expert guidance from Rachel Chamberlain. On behalf of the Terrace publication committee, thanks to everyone who came to all of the Art After Darks, read the Terrace’s articles, and followed us on social media. Be sure to stay tuned for all we have planned for next year as we welcome a new round of student ambassadors. And if you haven’t checked out the third-floor terrace and the current exhibition yet, be sure to visit by June 3rd!